The Ford GT40 might have been a Ferrari! In the mid-1960s Ford were in the throes of taking Ferrari over - only to have their offer rejected just prior to signing on the dotted line. That snub goaded Henry Ford II into taking the fight to the Italian marque, to hit them where it hurt - at the racetrack! The GT40 was to be his weapon of choice! Ford were fortunate to be in a position to recruit race-car constructor Lola. The British firm had just put the finishing touches to their Mk6 GT car - into which had been slotted a Ford V8 engine. From the outset, it was plain that the car was packed with potential. The timing, then, was perfect! Ford leapt at the chance to bring Lola on board - and bought the Mk6 project. Eric Broadley - founder of Lola - would continue to oversee it. Not that that meant Ford would be taking a back seat. They would be styling the new car, for starters. But, Ford were not race engineers! The shape they came up with was not as aerodynamic as Lola could have made it. Plus, Ford's future plans for the GT40 extended to road-cars. Therefore, they would need the GT40 to be factory-built. Ford felt that a relatively cheap steel monocoque chassis would be sufficient. The light aluminium 'tub' Broadley had designed - for Lola - was thus surplus to requirements. As a result, the GT40 was not only less slippery than it might have been - it was now heavier, too! Ford were trying to have their cake and eat it. They wanted a race-car to beat Ferrari ... while at the same time cutting production costs! The proof of the pudding would come at Le Mans. And - to Ford's palate - the pudding that was the 1965 24-hour race did not taste too good. Ferrari won! After some fettling, though, the GT40 came on song - winning its next four Le Mans outings. The '66 and '67 wins were under Ford's own aegis - before a privateer team took charge for '68 and '69. 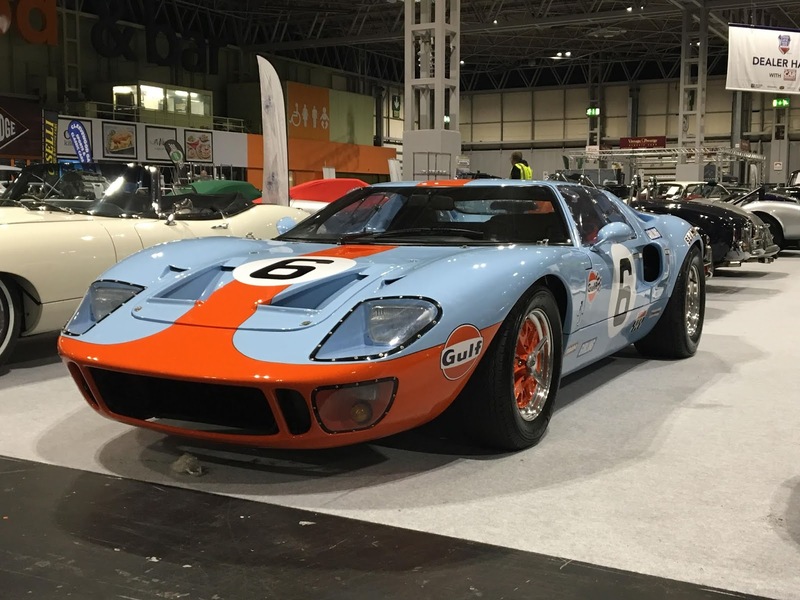 In the course of that string of victories, the GT40 hit the headlines for more than just winning. It was the first car to chalk up 3,000 miles over the 24 hours - with New Zealanders Bruce McLaren and Chris Amon doing the driving. And subsequently, with Jacky Ickx at the wheel, a GT40 beat a Hans Herrmann-piloted Porsche to the flag - by a mere 100m. After a day's high-octane racing, that was a pretty tight margin! To put it in context, the GT40 was topping out at over 200mph. It was by no means, then, as if the car was in any way lacklustre - or down on performance. Far from it - its 4,727cc V8 made 485bhp. And no car wins at Le Mans four times on the bounce, without having something going for it! No, the Ford GT40 was a fantastic racing car. It was just that, had Eric Broadley, and his colleagues at Lola been given their head ... it could have been even better!